We are a fun studio that is driven to create individualized portraits that are about you! We fully prepare you for an amazing experience so that when you show up, you know what to wear and what to expect. We have been photographing seniors since 1976. Year after year, more families have trusted the name Cripe when it comes to senior portraits. Our staff are trained artists. 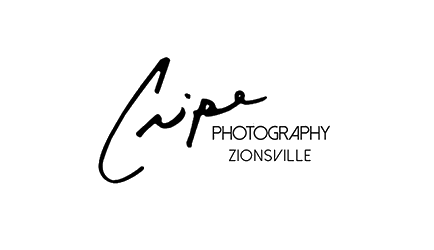 Bill Cripe graduated with a degree in arts and photography from Ball State University. He photographed his first wedding for hire at the age of thirteen. Since then, he has won numerous local and national awards for his art and photography. When you order, you will be working with Stephanie. She has a degree from Purdue University specializing in art and design. She has the expertise and knowledge to help you design and coordinate true pieces of art for your home. Unlike any other place in the area, you will receive true variety. From traditional posed studio portraits that your grandparents expect to relaxed fun poses the senior wants. We have tons of backgrounds and sets—both indoor (studio) and outdoor. The biggest problem is what to do with the images after you have them taken. Everyone knows they want to share their photos immediately through social media and we have taken care of that for you. But what about products that are designed for your home and will last for generations? Our wide selection of products give you plenty of options. We are normal people just like you. We have families and know that cost is a concern. We have held the line on price on many of our products for some time now. Many products cost less then they did five years ago. Our packages are designed to give you options that you can afford. If you are not thrilled with your experience or portraits for any reason, we will redo everything for you or refund your investment – whichever you prefer.